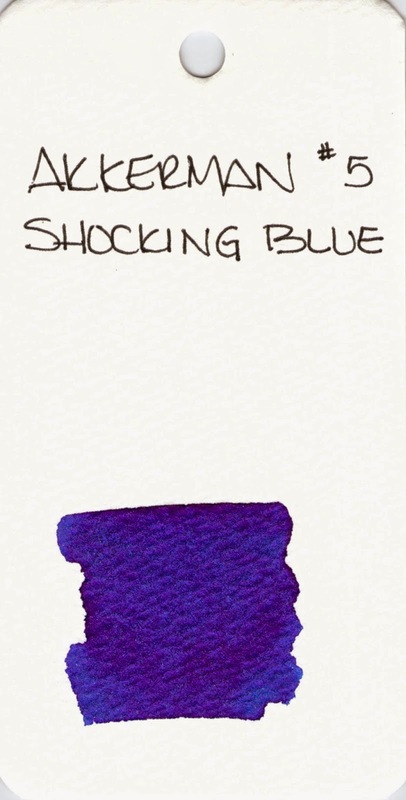 Last week, I took a really close look at four fabulous blue inks. After a little searching, I’ve found some sources for Bung Box inks . . . Rumor has it Cool-Japan had them over on eBay at one time. As of this writing, there are no Bung Box inks listed, I’ve bought ink from Cool Japan in the past and had a great experience. The bottles and packaging look amazing and I’ve definitely enjoyed using the sample Gerald sent me. Here’s the trouble: money. The Bung Box inks are not cheap – add in some shipping (from Japan!) charges, and you’re at right around $45-50 per bottle. Yikes. Parker Penman Sapphire would also be a good substitute for Bung Box Sapphire. Because the Penman ink is no longer available, I’ve listed some good replacements in that section. Zoom down to see. Bottom Line: If $ isn’t a concern, go for it. It’s a great-looking and well-performing ink – you wouldn’t be disappointed. If $ is a concern, DC Supershow Blue is a fine alternative. Noodler’s Liberty’s Elysium is only available from Goulet Pens. The good news is that Goulet Pens has a fantastic reputation in the fountain pen community for excellent customer service. They will also ship overseas. I got mine direct from the Netherlands. Shipping was fast, seemed reasonable (though I was buying multiple bottles), and everything arrived in good condition. Vanness Pen Shop also carries Akkerman inks. You’ll have to call or email them for specifics. It’s expensive. The Akkerman bottles are super-fancy and they’ve come a long distance. 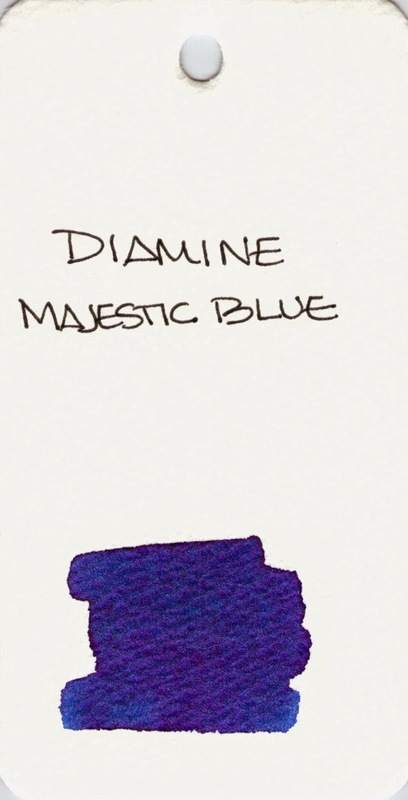 If you don’t want to put out the money, my strong recommendation is Diamine Majestic Blue (see image below). 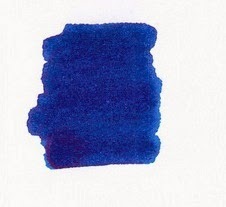 No longer available, there are some inky recipes out there for replacing Penman Sapphire. A quick search turned up these two links for you . . . The difficulty here is that while I think it is possible to get the color right (or at least close enough), I’m feeling pretty certain that it’s quite impossible to get the feel of Parker Penman right on target. 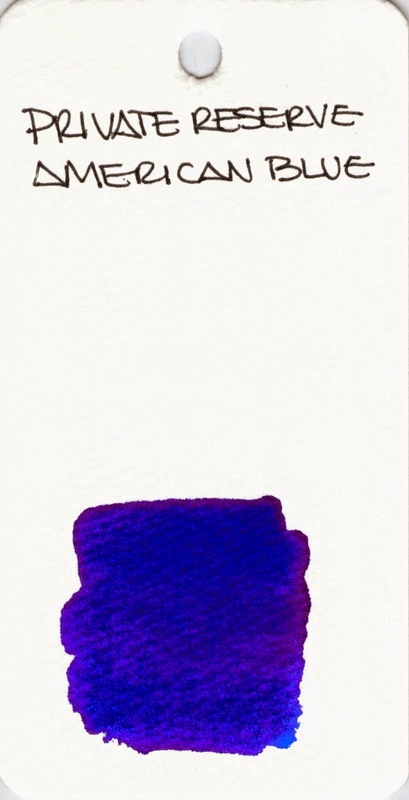 That is to say this: the color is only part of what makes an ink so special. 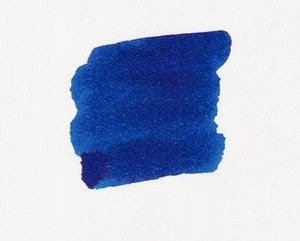 The feel of the sample I had is wonderfully different from all of the other blues here and I seriously doubt that mixing 6.5 drops of ink #1 with 3.75 drops of ink #2 is going to result in that same feel* – and without that, well, there are plenty of off the shelf colors that come close enough. Have a look . . . 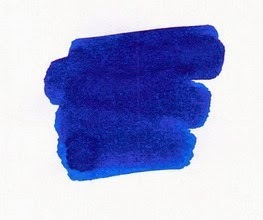 Some of the above ink swabs are showing the sheen – and maybe you’re thinking Penman Sapphire doesn’t have much sheen here or in my review from last week, but look at this review over on FPN – crazy sheen. 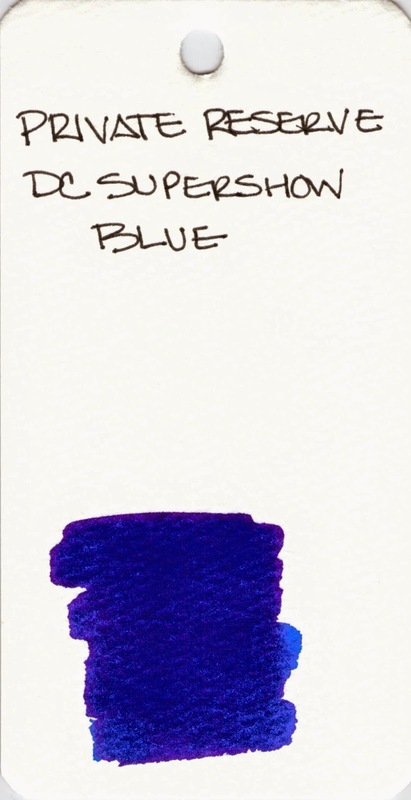 Bottom Line – DC Supershow Blue is the color I would choose if I was trying to match the color of Parker Penman Sapphire. Of course, you could search eBay for it, but there are rumors that it was discontinued because it may contain metallic bits (hello, sheen) in it and it causes pens to clog. I’ve not had trouble with it in my Pilot Metorpolitan, however. * Did you know that mixing inks can be an invitation for Major Trouble? Some inks don’t play well with others and you could end up with a blobby globby mess – in your pen. Some mixtures will take some time to form the blobby globby mess and by the time it does, you may have already loaded it into your pen. Be careful. Annnnnd…that’s that! Four Fabulous Blue Inks. This has been a fun fun project and I really have to thank Gerald again for sending me samples of some of these inks. If you’re not following me and Gerald on Instagram, you simply must. You tell me . . . Are you going shopping for one of these? 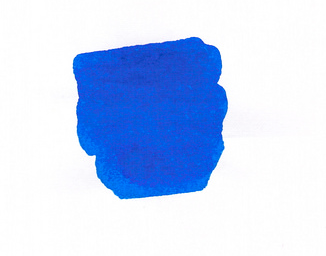 Or maybe you have another favorite blue ink? This entry was posted in INKS and tagged akkerman, blue, diamine, noodler's, parker, parker penman, private reserve, sailor, sailor bung box by Christine (Pentulant). Bookmark the permalink. I'm so glad to see that you found it, Ashley. Let me know how you like the ink (and if you find a great deal on it! ).